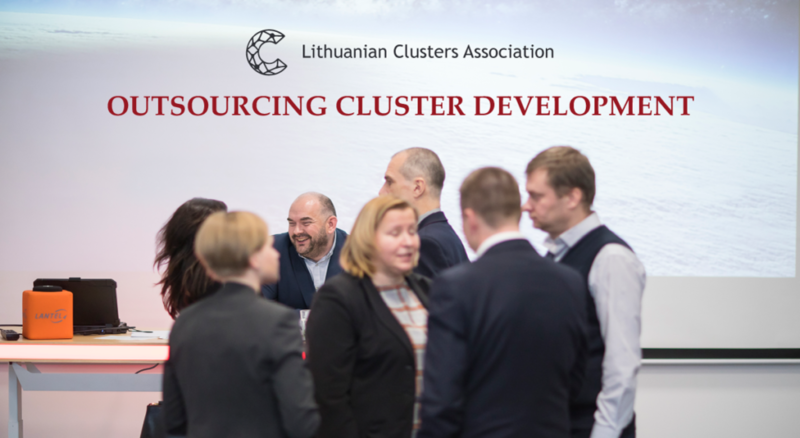 Lithuanian Clusters Association is developing an international Cluster Excellence Centre which will accumulate human resources and an experience of clusterization processes, expertise, creative and development potential. The Cluster Excellence Centre will cooperate with clustering professionals from Lithuania and other countries: clusters policy makers working in the institutions of the European Union, Lithuanian and other countries, organizations implementing clusters policy, clusters’ networks and other international organizations, experienced clusters’ coordinators, facilitators, project managers, consultants for EU projects and funding, business consultants, training organizers and professionals from other areas of clusters activities. The goal of the Cluster Excellence Centre is to work with politicians and executive branch of government together to create a conducive nationala aenvironment for a clusterization, opportunities for clusters operating in Lithuania and abroad as well as clusters initiatives and ideas generators to use the experience, knowledge, creative and strategic development potential of colleagues from other clusters. We believe that this initiative of the Lithuanian Clusters Association will contribute to a creation of a high-competence clusters’ ecosystem, promote clusters maturity, operational efficiency and international co-operation. At this stage, we are developing a database of clustering professionals from Lithuania and other countries. If you would like to contribute to a development of clustering ideas, clusters policies and clusters development, we invite you to fill in the Lithuanian Clusters Association Excellence Centre Expert Questionnaire. We will invite selected candidates for an interview. A formed team of experts of the Cluster Competence Centre will work at various levels and areas: from a policy-making at the international and national levels to helping Lithuanian and foreign clusters to solve day-to-day issues.